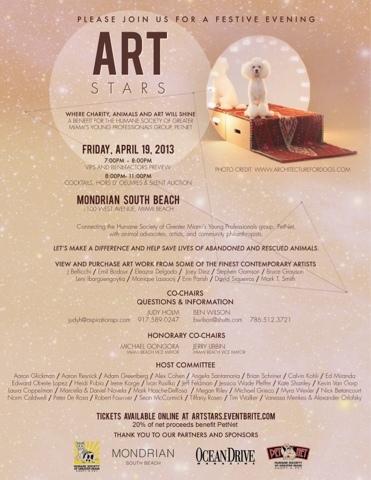 News & Blog: "Join me Friday, April 19 Art Stars Charity Event"
"Join me Friday, April 19 Art Stars Charity Event"
General Admission tickets come with open bar! Wine, rum, and vodka drinks. Come meet our 25+ lovely ladies from the #MiamiModelCitizens ! :) yay! see you there! To get your ticket click here!